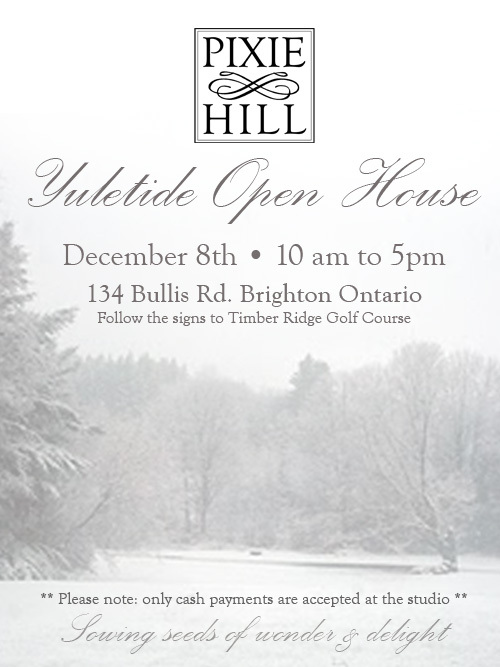 Pixie Hill: Yuletide Open House! Yep, it's almost that time again. If you live nearby, or you're passing through our beautiful little town on December 8th, please stop by Pixie Hill for a visit. We'll have mulled wine and treats for nibbling AND the studio will have the nicest things for the very best people on your holiday list. One of these years I'm going to make it to your open house :). Have fun!